SEO (Search Engine Optimisation) is the process of maximising organic traffic to a website by ensuring that it appears as high as possible in the search engine results page (SERP’s) for all relevant keywords. 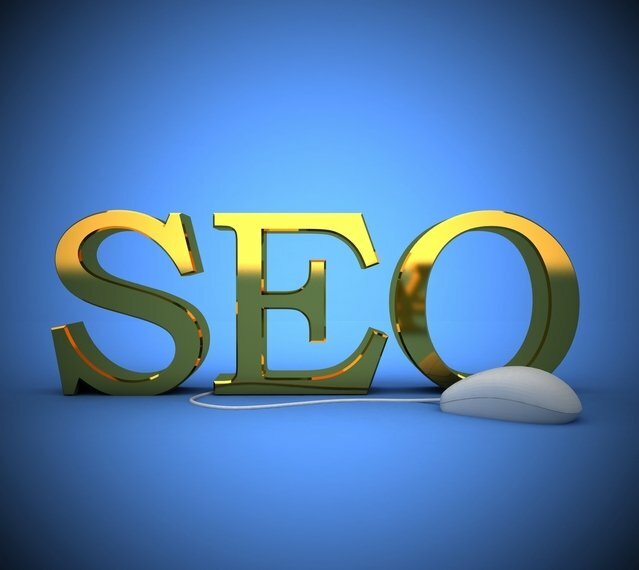 A website achieves a high SERP’s ranking according to a number of factors. Google and other search engines use algorithms to crawl a website to determine how to rank content. The factors and their weights that search engines use to rank a page are kept secret and so it is difficult to know for certain how to optimise for Google ranking. However, an annual report from SEM Rush based upon the analysis of 600,000 keywords with a cross-section of search volumes indicated that direct website traffic is the most important ranking factor. Image Source: SEM Rush, 2017. The next most important factors are time on site, pages per session, bounce rate and total referring domains. All these metrics help Google identify high quality websites with relevant content. 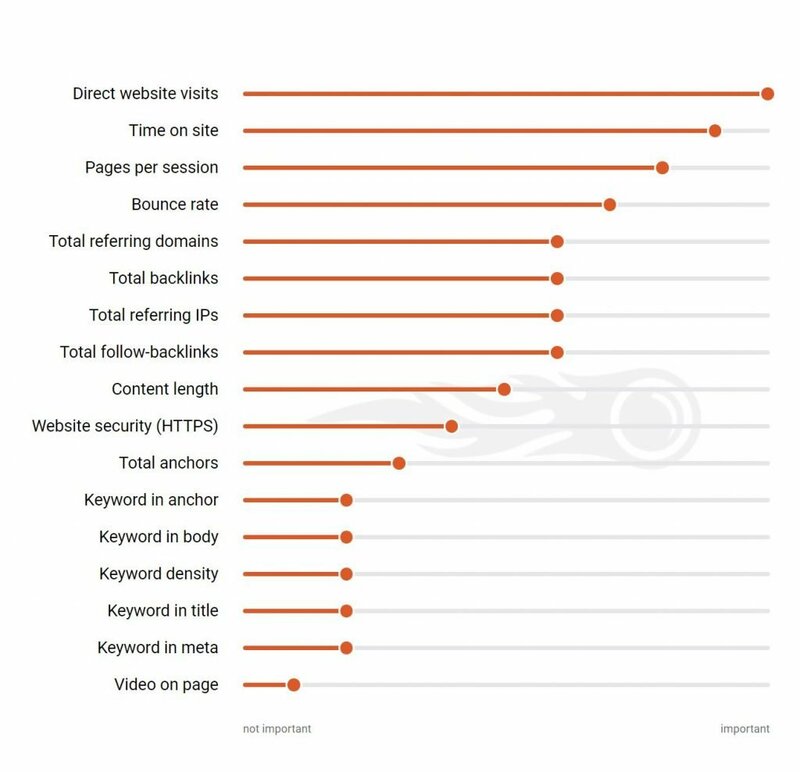 The analysis shows that such factors are more important than traditional metrics such as keyword density and total anchors. However, backlinks are also important as this is another way Google bots can determine if other users value your content. Blog outreach is a common strategy for building backlinks to improve ranking, but it often has a very low conversion rate. For this reason some SEO experts use black hat techniques such as private blog networks as this gives them total control over how to create backlinks. Keyword research is an important element of SEO and so it’s necessary to understand how to do keyword research. For keywords to be effective they need to appear in relevant meta-tags and be used in content that reads naturally. If keyword density is too high it might be seen by search engines as keyword stuffing. Sites that use keyword stuffing will often be penalised by search engines because their algorithms are designed to spot such black hat techniques. For WordPress sites you can use plugins such Yoast SEO to evaluate on-page SEO. These plugins are designed to analyse your content to identify issues such as keyword density, readability, meta descriptions and internal links. If your website lacks domain authority and has little organic traffic you can use pay-per-click (PPC) to send visitors to your site. This should not be used in isolation from SEO campaigns as once you stop you stop PPC campaigns your ranking and traffic will also disappear. You should allocate a majority of your budget to SEO because this creates permanent rankings in search engines and so is a more sustainable way of generating traffic to your website. SEO requires a significant and long-term commitment to creating a sustainable footprint on the web. It is not solely influenced by online activity because off-line awareness building can help generate direct traffic which is an important ranking factor. Search engines also use metrics such as bounce rate and time on site to evaluate user engagement and the quality of content. Together with the importance of backlinks this means that SEO is a complex and iterative process which takes a lot of time and resources to do effectively. Keyword research –How to do keyword research. Link building – 20 powerful link building tools to drive traffic to your site. Private Blog Network – What is a private blog network?